We caught up with Ethan Mudge, 13, of San Clemente, at Western Surfing Association Event No. 7, Feb. 14-15 at the Huntington Beach Pier to talk about a surfing action photo of him on the WSA equipment trailer wrap. The image shows him ripping, aloft and fins free. 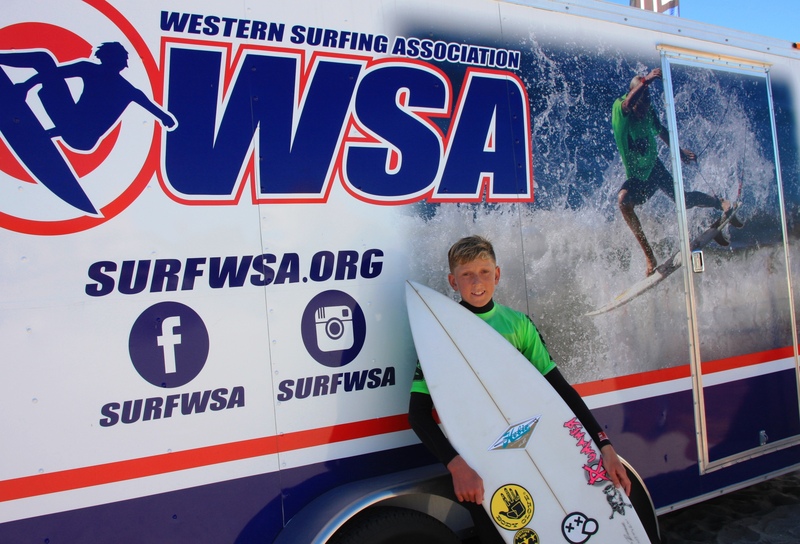 The choice, WSA officials said, was a good one, not only because it shows great surfing but because Ethan is a longtime competitor who has been surfing the WSA Championship Tour since his dad was pushing him into waves as a Micro Grom at the age of 5. At that event, Ethan earned a third-place trophy in Boys U16. On the second day of the contest Ethan battled his way into the final but a long fog delay forced a postponement of the finals rounds. In WSA, he is currently ranked No. 6 in Boys U14 and No. 7 in Boys U16, in a field of 95 for both divisions. 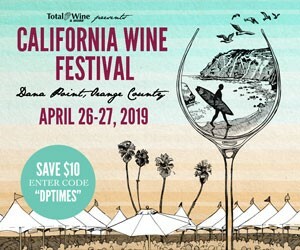 Ethan also competes as part of his school team—shortboard and longboard—in the Scholastic Surf Series and in National Scholastic Surfing Association Open Juniors where he is No. 15 in a field of 45. In Surfing America Prime competition, he is No. 25 of 44. His next steps on his quest for a pro surfing career, he said, will be pro junior competition and surf travel. In school, Ethan is a bright eighth-grader earning As and Bs and looking forward to attending San Clemente High School next year. This summer he will be training in Nicaragua with surf coach Erik Krammer of International Surf Services and also enjoying his other passion, fishing, on a trip to Alaska.